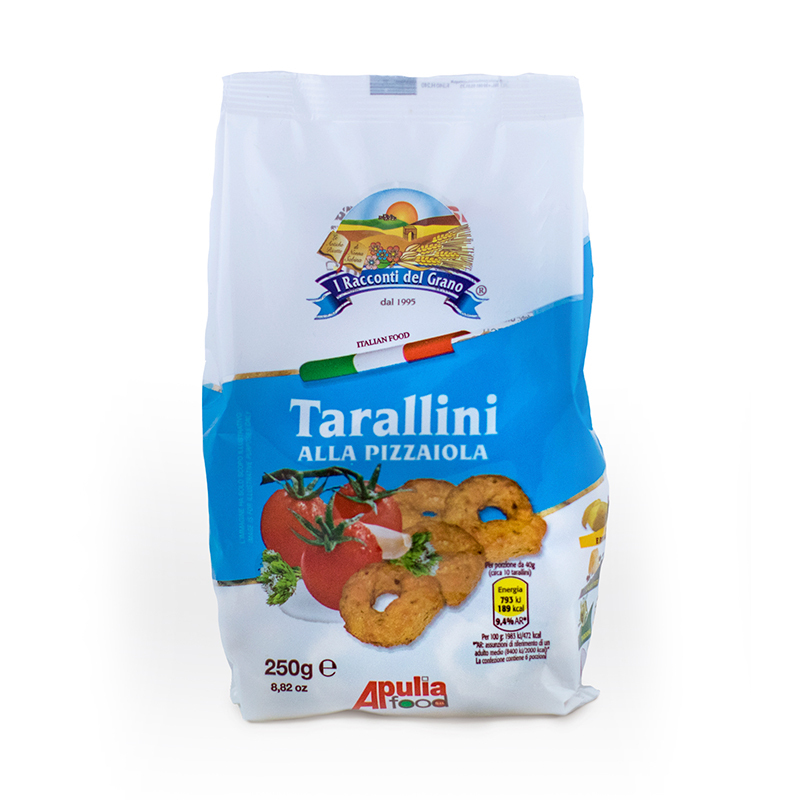 Wheat flour type “00”, extra virgin olive oil 5%, olive pomace oil, white wine, fine salt, dehydrated tomato 1%, origan 0,5%, dehydrated garlic 0,2%, dehydrated onion 0,2%, granulated garlic 0,1%. Contains gluten and sulphites. Produced in a factory that processes cheese.